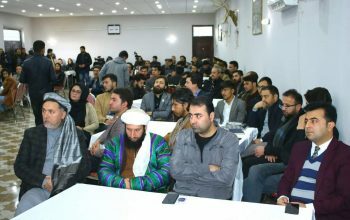 AHRRAO initiated a local level advocacy program to support justice based peace in Afghanistan with participation and support of civil society organizations, civil and social activists and local elders in Mazar-e-Sharif on Feb 11, 2019. 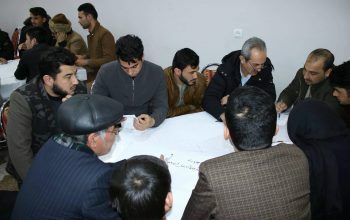 Outcome of the advocacy program was a resolution that concluded overall view of about 150 participants from difference segment of the Mazar city and Balkh districts. This resolution has been presented to local, national and international stakeholders to influence decisions will be made on peace based on Afghanistan constitution and international standards. In the following the full resolution is provided. Respect to constitution, securing social justice and observing constitutional rights of citizens are the fundamental components of peace in society. Respecting human dignity, securing social justice and observing constitutional rights of citizens particularly women are the fundamental principles legitimizing international community’s intervention in Afghanistan in 2001. After years of war and widespread violation of citizens’ human rights, Afghan people, with the support of international community, could start a new era of their social and political life based on human and Islamic values. 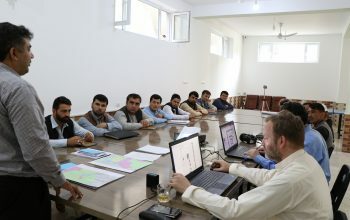 Afghanistan’s modern constitution, the democratic political structure, formation of the armed forces that support the people and national values as well as relatively effective mechanisms for political, civil, economic and social development of the country have been the outcome of the recent socio-political change. Despite all these, Afghanistan has not fully obtained social and political stability, there are several reasons for continuation of the instability in the last 18 years and they need to be seriously considered in peace talks. 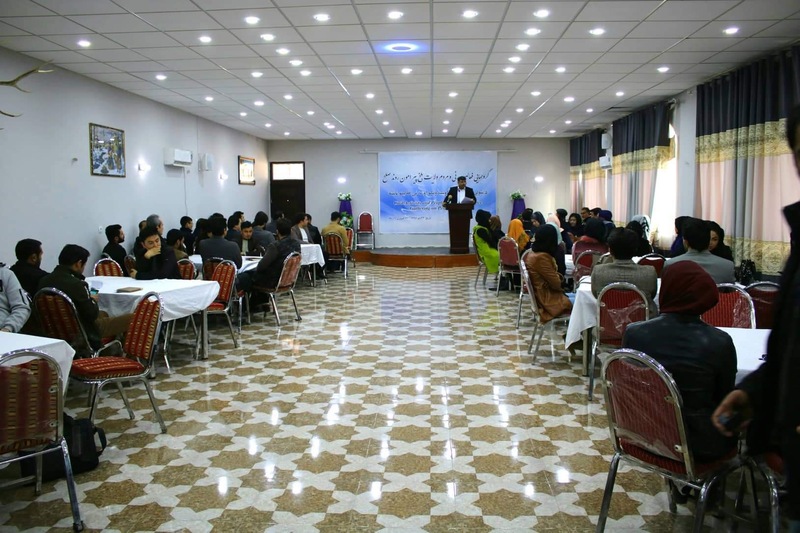 People and civil activists of Balkh province believe that supporting and observing the values of the Islamic Republic of Afghanistan’s constitution and specifically supporting and observing the principles of “Islamic Republic”, Independence and the second chapter of constitution that guarantees constitutional rights of citizens and particularly women rights, is the guarantee for permanent peace and stability in the country. Therefore, the constitution is not a barrier to peace but in case it is truly observed, it not only guarantees peace but also secure the justice and welfare in the country. We believe in this sensitive time addressing “amendment of the constitution” doesn’t help peace talks, but it’s a backward move and against Afghanistan national interest and will cause another civil war and consequent widespread violation of human rights. Peace is the right of Afghanistan people, no political group including Afghan government shall distrain or compromise this right for the sake of their individual or group interests. The “Islamic Republic” is an un-negotiable principle in the Afghanistan constitution, this principle is unchangeable and no political group or their supporters shall compromise it. The second chapter of Afghanistan constitution recognizes the fundamental principles of a civilized society, this chapter is unchangeable. Civil society institutions and Afghan people believe that without values stated in this chapter, securing social justice and observing citizens’ rights is impossible. We the people, want an able and healthy society based on human values and this will not fulfill unless by observing the constitutional rights of citizens and specifically women rights which are guaranteed in the constitution. The armed forces of Islamic Republic of Afghanistan are true children of the country and guards of values of the constitution and Afghan society. Civil activists and people of Balkh province do not accept any disrespect to the armed forces. Respect to the martyrs of armed forces and victims of the ward are also very important for Afghan people. Therefore, any compromise in regards with Afghanistan’s armed forces will be considered disrespect to Afghan people and our martyrs’ bloods. 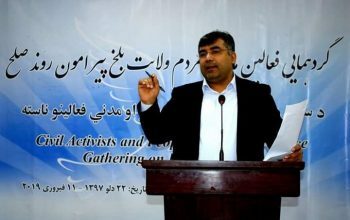 In view of civil activists, the elites and people of Balkh province, the interim government option is a conspiracy against Islamic republic of Afghanistan, this will weaken the country and pave the ground for other countries’ interferences. Therefore, the interim government is not acceptable. In view of civil activists and people of Balkh province, not bearing in mind the aforementioned concerns, will have disastrous consequences. Re-occurrence of civil wars at village level and between local commanders and warlordsfor the purpose of securing their material interests. Destruction of dams and by neighboring countries, wastage of water and mineralresources and escalation of poverty. Collapse of the central government, expansion of local commanders’ power who arecontrolled by foreigners. The amount of loot and extortion by these commanders is unforeseeable! Historicalreasons:whathashappenedinthenotveryfarpastofthiscountrydenotes the fact that military groups supporting by neighboring countries have had no will for building this country. Their mission has been destruction of the country and the systems, therefore, giving them unlimited authority will entail nothing but destruction of the country. Economic reasons: Afghanistan’s water resources have been a long term matter of dispute among Afghanistan and neighboring countries, this is important as these countries are currently facing a serious water crisis. Destruction of dams and appropriation of water resources are an important principle in peace and war politics of neighboring countries. The mercenary groups outside and inside the country have been used as tools for putting political and military pressures on Afghan government and this is the fact today as well. Afghanistan natural resources is another issue for other countries involved in Afghanistan problem. In absence of a powerful government, natural resources will be looted by economic-military corporations and there will be no share for people in them. Therefore, existence of a government though with a minimum legitimacy as well as existence of armed forces is considered a barrier and in view of these groups the interim government is the solution. A) Taliban has not provided a clear national plan for managing the country, balanced development, strategic relationship with partners and neighboring countries, rights of ethnicities and minorities, human rights and women rights; they are just playing political games in order to score more points from America for Pakistan and this can continue until destruction of all achievements of Afghanistan obtained by support of international community in the last 18 years. B) Currently, Taliban is not a unified group under Pakistan control but they are divided into many smaller groups. Therefore, the leadership of this group in Pakistan as well as the negotiators will not be able to end the war after the peace agreement. C) Taliban have not shown honesty to Afghan people and this is very clear as they bypassing Afghan government and the national army. 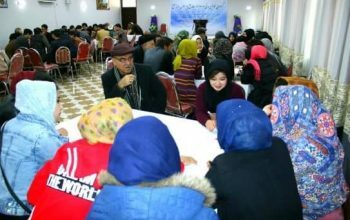 Regarding the aforementioned reasons, civil activists and people of Balkh province consider Afghanistan government the main party of peace talks at all levels. Any agreement without considering principles of the constitution and presence of Afghan government lacks legitimacy for Afghan people. If Taliban really wish peace for Afghanistan, they shall provide people of Afghanistan with their clear plan that guarantees peace and security across Afghanistan. This plan shall clearly explain the position of Pakistan toward Afghanistan after entrance of Taliban into political system of country, the plan shall also clearly explain how the divided groups of Taliban under the current leadership and negotiators will join the peace process and how they guarantee that war will not continue by the sub-groups. Afghanistan government shall undertake an active foreign policy in order to make Taliban supporters and countries involved in the problem of Afghanistan, understand the concrete realities of the country and support Afghan government in the peace process. Afghanistan shall also take necessary measures through its foreign policy in order to actively convince other countries to end opportunistic efforts of domestic groups for compromising peace and destroying political system of the country.